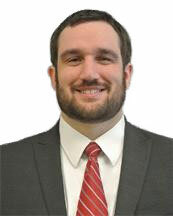 Griffin Osmond is an associate attorney in McGregor's Dental Law group. He assists dentists in the acquisition, sale, or start up of dental practices. Griffin handles most of McGregor's dental law transactions in the western states region, including Colorado, Arizona, and Utah. Prior to joining McGregor, Griffin's legal background involved helping individuals protect their personal assets from liabilities and taxes. Griffin is a native of Rock Springs, Wyoming. He has two young boys and a baby daughter. His interests include traveling, reading, and college sports. Little known fact: Griffin is an expert weaver of Native American blankets, and in 1999, won the US Junior Origami Championship.